His name is Myron Sugerman, and he is the last Jewish gangster from the era of the world of his fathers, from Meyer to Myron. He's 79 years old and for nearly 60 years, Sugerman has dedicated his life to making a living dealing in juke boxes, pinball machines, arcade machines and gambling machines, especially gambling machines. He learned his trade from his father, the late Barney "Sugie" Sugerman, who was in the business before WWII. Sugerman has installed tens of thousands of gambling devices in casinos, clubs, bars and goulash joints across the United States, Europe, Latin America, South America and Africa, and dealt with the mob bosses in many different lands communicating with them in their native tongue. Sugerman speaks seven languages. Meyer Lansky's group and the bosses of Bally Manufacturing Company sent Sugerman to Lagos, Nigeria, to run a joint venture gambling machine operation with Arabs from Lebanon in 1970-71. As he says, "I tried always to answer to God's law and sometimes even man's law…I always made it my business to deal fair and square and make sure everybody got the right end of a deal." Sugerman proudly says he helped a lot of people achieve financial independence. He’s written a memoir titled "The Chronicles of the Last Jewish Gangster from Meyer to Myron.” The book tells the story of a man who grew up at the feet of some of the most famous Jewish, Italian and Irish gangsters, and understood the traditions of that world. When Fiorello LaGuardia was mayor of New York City in 1941, he ordered every slot machine of Frank Costello and Meyer Lansky to be destroyed. New York was without a slot machine until the 1970s, when Sugerman decided it was time to resurrect history. He did and got immediate recognition from more than just one authority. My father worked with everybody from the time of Prohibition to juke boxes, vending and gaming. Sugerman recalls the names of these men: Meyer Lansky, Joseph "Doc" Stacher, Gerard Catena, Abner "Longie)"Zwillman. When Dustin Hoffman needed old timers who knew Dutch Schultz so he could play the part of Schultz in the movie “Billy Bathgate,” Sugerman arranged a meeting with Little Itzig, Louie the Rush and Max Puddy Hinkes at the Second Avenue Deli and told these old gangsters "it's okay to talk to this guy, he's no cop." Sugerman reveres the memory of his father, who passed away when Myron was young. Sugerman says the "uncles" took over and raised him in the world of the Kosher Nostra. After Adolph Eichmann was discovered in Argentina in 1960, Sugerman was doing business in Vienna, Austria, and insisted on going to meet the famous Nazi Hunter, Simon Wiesenthal. Sugerman became Wiesenthal's major supporter both financially and otherwise. In the 1970s Wiesenthal gave Sugerman an assignment to help him pursue Josef Mengele, known as the Angel of Death, who was sighted in Paraguay. Sugerman went on more than a few missions at the behest of Wiesenthal. The story is in the book. Sugerman's memoirs take the reader back to the Philip Roth era of postwar Newark, N.J., Jewish life, where the Sugerman family comes from, and then goes on a kaleidoscopic tour, from casinos and bars in the remotest parts of Africa including Nigeria, Namibia, Uganda and the Democratic Republic of Congo, to adventures throughout all of South America, including Argentina, Brazil, Colombia, Puerto Rico and the Dominican Republic. Sugerman says he learned early in life truth is man's best friend and that greed kills more people than pistols. Since there are, however, variances between God's law and man's law, Sugerman spent 19 months in prison but says prison was a positive experience because he says he refuses to be negative or pessimistic. Sugerman today is in big demand by synagogues and Jewish federations throughout the United States. He travels the country and in December is going to England. He speaks on the history of the Jewish Mob (with help from Italians and Irish) and their remarkable contributions for the betterment of the welfare of the Jewish people both here in the United States during the 1930s — fighting anti-Semitism and the American Nazi Party, and in the 1940s after WWII securing illegal weapons and providing cash for both the Haganah and the Irgun in Palestine, pre-state Israel in the struggle for Jewish statehood. Sugerman himself is a follower of two leaders, the Rebbe Lubavitch (Chabad) and Vladimir Zev Jabotinsky, the Father of Revisionist Zionism. Sugerman says people love to hear these stories. 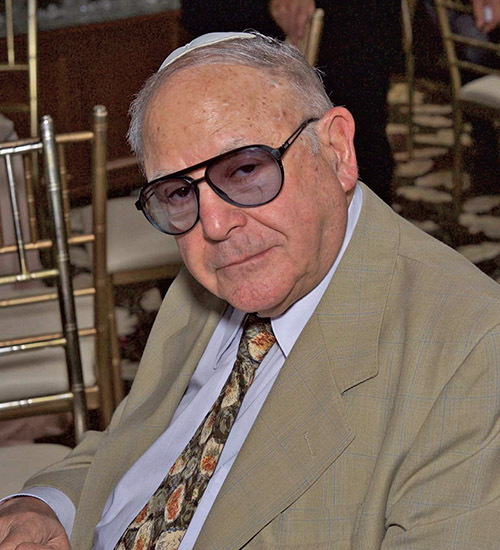 Given the choice to listen to the last Jewish gangster or listen to a rabbi give a discourse on Torah, Sugerman asks, "who do you think the people want to listen to?"